These regional one day events are part of a series of events held primarily in preparation for the World Association for Sustainable Development (WASD) 16th International Annual Conference co-organized and hosted by the United Nations Joint Inspection Unit (JIU) , Geneva, Palais de Nations, 10-12 April 2018. It will introduce the latest update from JIU Review of the United Nations system on Public-Private Partnership (PPP) for the implementation of the 2030 Sustainable Development Agenda adopted by the UN General Assembly in 2015, and its 17 goals. 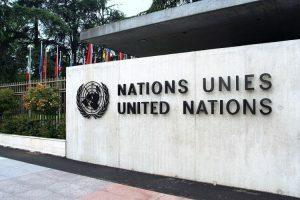 The JIU review focuses on the private sector partnership in the context of the 2030 Agenda for SD and explore ways and means to improve the contribution of the private sector to the implementation of the Agenda, and stimulate its interest to engage in partnership with the United Nations system organizations as well as to improve efficiency in the use of resources. Both JIU and WASD are inspired by the conviction that the 2030 Agenda and its 17 goals provides momentum for a renewed UN engagement with the private sector. Get introduced – by the UN JIU Inspector Petru Dumitriu to the latest updates on the UN approach to the public-private Partnership in the context of the 2030 sustainable development agenda. Have your views on the PPP, as well as your recommendations on ways to strengthen the partnership between the UN and the Private sector heard. Network with delegates from cherry picked UK companies involved and/or interested in Public Private Partnerships. Learn more about the WASD 16th annual conference by WASD President Allam Ahmed about the conference which will be held in Geneva between 10-12 of April 2018, and the various possible ways to engage in this high profile conference that promises maximum exposure for your organisation at the highest possible global level.